Join us for our District Conference! 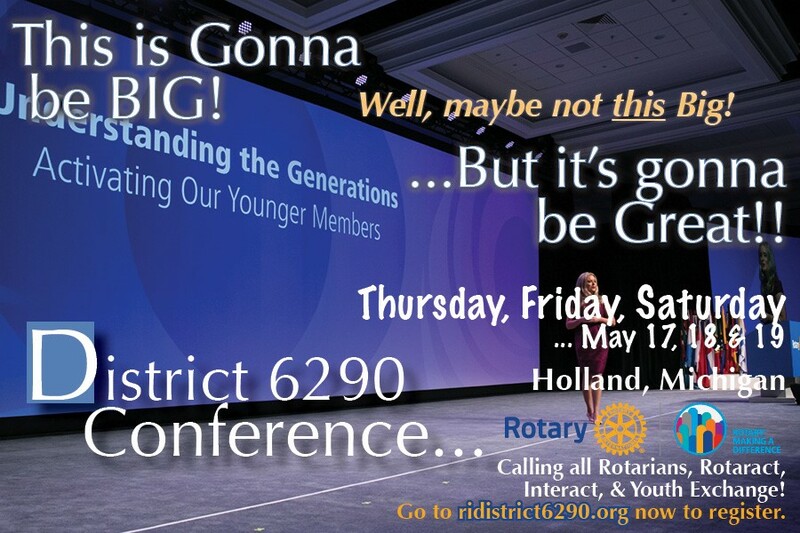 Join fellow District 6290 "People of Action" who are "Making A Difference" each day in their local and global communities. Parallel conferences for Rotary, Rotaract, Interact, and Rotary Youth Exchange. We have dorm space at Hope College and blocks of rooms reserved at the new Marriott Courtyard downtown and the Haworth Inn and conference Center, where most of the events will take place. Campers may enjoy staying at Holland State Park. Lots of options for lots of participants.